RARE RARE RARE. 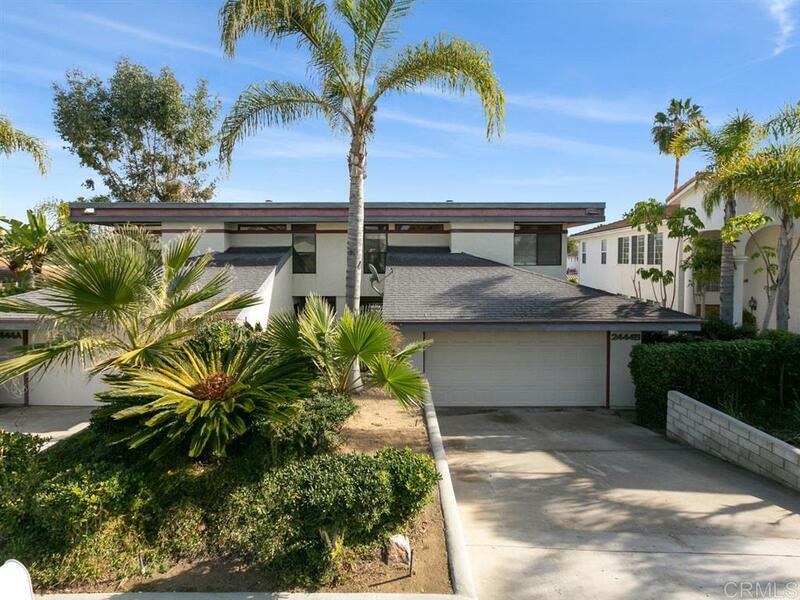 Duplex in the heart of La Costa. Excellent investment. Live in A - rent B. Rent A & B. OR perfect for the Multi-generational liviing. Tons of privacy. 2 large 2 car garages. Large backyards. Views. Vaulted ceilings & FP in each Living room. No HOA's or MR's. Skylights throughout. Bring your design ideas and paint brushes. Award winning schools. Close to shopping, beaches, resorts, shopping, & freeways. Ready for a fast close.